What is our XML Gateway module? 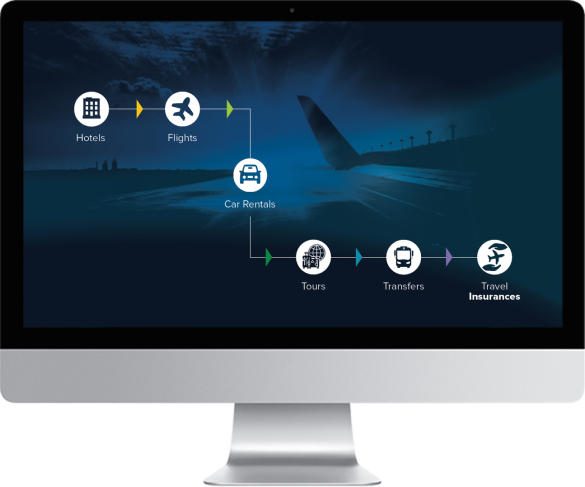 It’s a multi-supplier travel resources hub, an endpoint for multiple connections of travel suppliers, delivering them in a unified XML structure that can be connected to any booking engine back-office and added to current inventory. With only one integration you save time and money simplifying simultaneous interaction with +150 already connected travel suppliers and 3rd party suppliers as you won’t be needing to integrate internally each individual supplier and you can also keep your existing website and technology while extending your inventory. Besides the obvious shortest time to market and the lack of testing required, there is also a considerable advantage in costs over the long run. Our contract will ensure that the connection to all the XML suppliers in the Gateway is fully up to date with the newest offering and content from the wholesalers and that there will be no need of IT staff work to handle the XML connections. Due to our business model, you have full control of the prices as the suppliers agreements remain unchanged: you negotiate your own NET RATES with each supplier in order to keep your price and commercial strategy unaltered. Browse through our list of +150 XML Suppliers for travel services and 3rd party products HERE. Offer your clients real-time availability, rates, impressive photo galleries and complete descriptions of your travel products with just one XML integration. Your travel company can provide: Accommodation products, Air, Car Hire, Transfers, Tours, Activities and Insurances to the end customer via B2C, to other travel businesses with the B2B engine or internally by B2E channel with just one XML connection.